President Abd Rabbu Mansour Hadi accompanied by a number of ministers and advisors on Saturday arrived in Aden. Hadi issued a number of important appointments decrees before his coming to Aden. He appointed new military leaders in the Fourth Military Regions which is located around the city of Taiz in which the Yemeni National Army backed by the Popular Resistance are violently fighting forces of the Houthis and ousted President Ali Abdullah Saleh. Yemeni officials had stated that security arrangements were made in Aden with the aim of paving the way to the return of Hadi to Aden, pointing out that the return of Hadi to Aden indicated that the Yemeni government will adopt the military option, particularly in Taiz. Meanwhile, government sources affirmed that the UN Envoy for Yemen Ismail Ould Cheikh Ahmed on Saturday arrived in Riyadh to follow uphis efforts to push Yemen's parties to involve in talks. 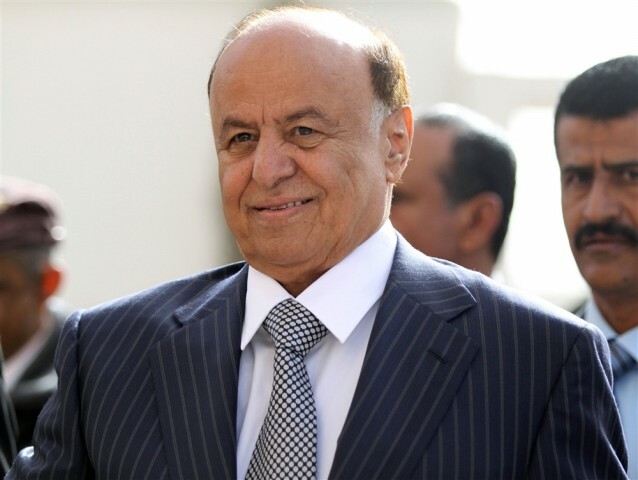 The sources said that Hadi's visit to Aden came in light of the failure of the UN-adopted ceasefire which was violated by the Houthis and ousted President Ali Abdullah Saleh.